This is the rabbit that our group used to conduct the immunology experiment. I really felt bad, oops, not only me, it should be all of us when we're injecting the vaccine into its body. We did the injections 3 times! The rabbit has to suffer from 3 times injections. We don't have any experience on injecting, and this rabbit had to suffer from what we'd done to it, just to take the antibody produced after several weeks. To take the antibody produced, we have to do bleeding. Bleeding is the hardest part in the whole process. We didn't do well in bleeding and this poor sick(well, we found out that this rabbit fell sick at 2nd injection) rabbit had to suffer from the agglutination of blood. As compared to other groups, this rabbit showed great cooporation during the whole process of injection and bleeding. If I could do anything to compensate this poor rabbit, I would keep it as my pet. Conquering my fear of heights would be listed as one of the things I wish to do in the future. Many years ago, I start to realize that I have the fear of heights. Whenever I am in any high buildings, especially the one I could watch very clearly downstairs view with the transparent glass in higher levels. 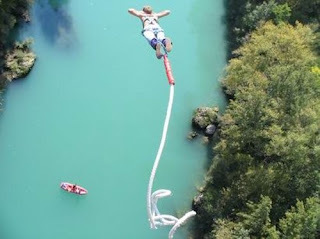 Thus, something I want to do before I die to make sure I have no regrets is to do a Bungee Jump. I wonder if I have the courage to do that. The friend that I appreciate the most is my high school friend, Rui. 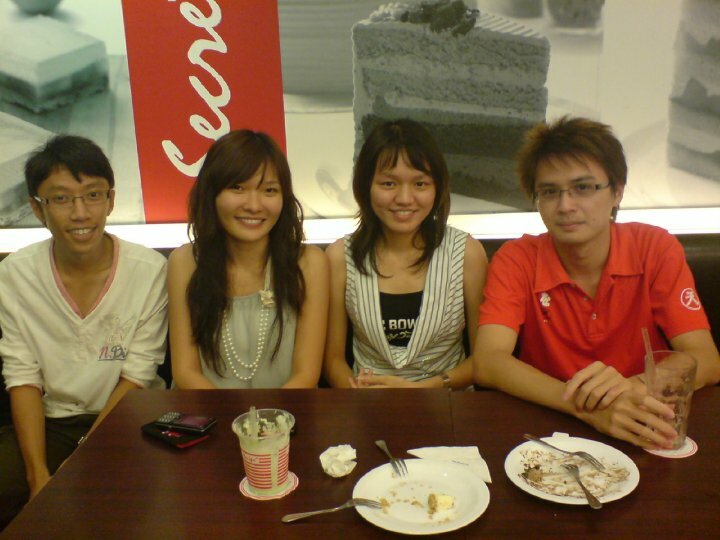 Since Form 1, we shared the same house -- blue, the same computer classes, the same class for 1 year and etc. She can always know what I am thinking. She is willing to listen to me. She is willing to cheer me up whenever I face any difficulties. She is willing to share her happy stories to me. She is really helpful to the people around her. I was impressed by her good-tempered personality. She even won my parent's heart whenever she visits my home. I am sorry to say that sometimes I wasn't a perfect friend. Even though I didn't voice it out, I really felt sorry. Even though it was my mistake, she is the one who usually came over to me and said "Sorry, Ling Hong." It made me felt miserable but I swear at that moment, I decided to improve myself to be a better person, like you. You, always be my friend, Rui. My idea for perfect first date, of course with the one I like the most. And, having a meal and chatting with him happily would be perfect for me. And, of course, without any handphone distraction. As this happens a lot in many people's date. It will be very awkward and it wouldn't end perfectly for rest of the day. Through chatting, quality communication stretches the bond between the couple to become closer. After finishing the meal, a walk to a garden, sea side or a visit to his high school would be great! Definitely the feeling would be great if we could understand more the background that built up the one you love. Isn't this list has less overlapped topics than the previous one? So, I will go according to this list from now on. 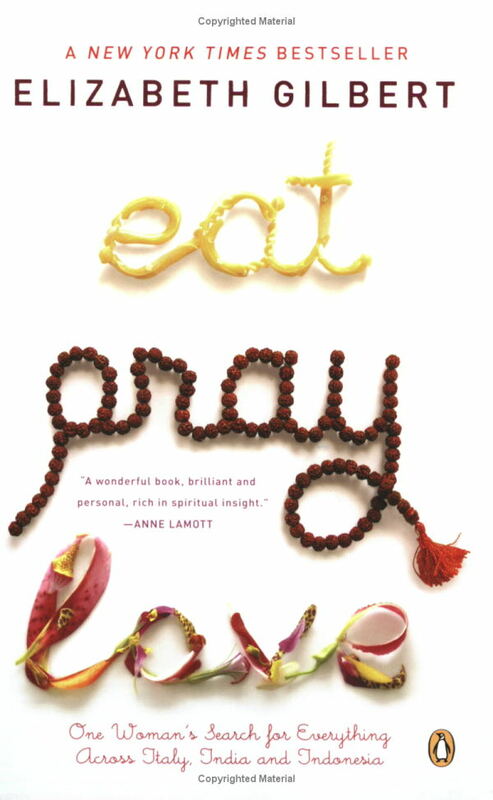 I'm going to write 2 titles today, day 3 and 4 each. day 11 : what's in your make up bag? day 25 : who are you ? day 27 : what kind of person attracts you? day 28 : in this past month, what have you learn? This title took me some time to think of, the same situation happened as I wrote the blog for Day 1.
a program by NTV7 since 2009. The story line was like this - A company employer in Kuala Lumpur would like to expend his business to China. He needs his employees to be well-spoken in Mandarin to conquer the market of China as most of the employers are non-Chinese or non-Mandarin speaking Chinese. The employer hires a teacher to teach them speaking Chinese. Most of the funny stories happen after the teacher came to teach them. Basically, the stories are based different dialects and languages usage by the employers in the company. Malay, English, Tamil, Mandarin, Hokkien, Hakka and Cantonese. The way they present the incidents in each episode really tackled my heart. It made me addicted to it. 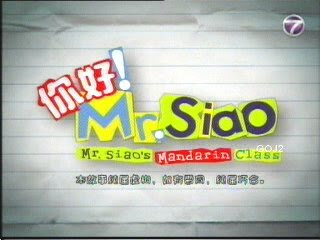 Especially during Chinese New Year, they broadcasted a few special episodes for that period. It was really amazing to see how the program integrated people from different languages and dialect speaking backgrounds to interact with poor Mandarin! It is worth watching as it is relaxing and of course, it makes people to understand more on Malaysian culture. I miss this show definitely after I entered university. I am touched by a video made by a friend right now. From the stage he approached me for a project until now, he had gone back to his home country. It takes less than 4 months. Now, I could really feel that every step we take could change a person's life! All I want to say is thank you, really thank you for letting us to know that you appreciate your days here in Malaysia. The moment I saw this title, the movies on my mind was "Burlesque" and Stephen Chow collection of movies. So, instead if "My Favorite Movie, I would like to say the blog title of this post is "My Favorite MovieS". 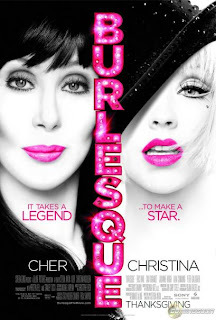 The movie "Burlesque" was first introduced by my close friend and we went to watch together with the total of 6 people right after we got to know that the microbial genetics test on the next day was cancelled! For me, it was so random and I like it. Before that, I didn't know who is Christina Aguilera and who is the-person-who-sounds-like-a-male when she sings, Cher. It has been long time ago since the last time I watched a movie with full time attention. This movie impressed me at the moment. The clothes, accessories, dancing skill and of course the perfect voice of Christina Aguilera. Obviously, this movie is designed for Christina and it really lets her talent of singing burst out in the whole movie. I started to download all her songs when I was back to my hostel, and kept listening her songs for the next few days. Another character in the movie which catches the audience's eyes is Cher, who had actually reach the age of 65! This is really a news for me. Yes, it is. She doesn't look like she has reached the age of 60s. This movie catches my eyeballs until I wouldn't want to blink my eyes. The movies up next I would like to talk about is The Collection of Stephen Chow Movies during his early days. His movies are like the toys which accompany me during my childhood. It has been a norm for me to rewatch his movies when I was free during my high school time. Whenever the TV program replays any movies of Stephen Chow, I will spend my time to watch it. I remember it was either Saturday night or Sunday afternoon. I sat in front of the TV, enjoyed the movies played. Most of the movies are comedy and I really appreciate the beauty of the language used in the movies. They could create such irresistible quotes in the movies that match with the situations. And, the most important thing is the post-syndrome of it. There are friends that actually would talk about it the next day when we went to school. Or, we will integrate in the conversation that we were having at any suitable time or situation mentioned. Stephen Chow Movie Collection has already made an impact on my life. However, I am sure that there are more people out there had experienced the same thing as I did. Salute to the movies production teams! This took me a while to think of as I don't really listen to tonnes of songs. I opened my KuGou, I scrolled the lists of the songs. that I still love to listen until now after downloaded for several months into my PC. the lyrics are meaningful enough to express the feeling of a boy friend towards the girl friend. However, it is the melody itself that makes me feel comfortable especially the part of "Let me tell you 'bout the girl that changed my life". The title of the song "just a dream" comprises all aspects that we face in life. Every thing happens in our life, are just dreams someday in the future. "What goes up must come down" could mean in a lot of aspects of our lives, and it doesn't restricted only to the difficulties that people face in their relationships. The moment I am writing this post, I am replaying this single song over and over again. The melody of the song and the voice of the singer comfort me in this late-mid night. After seeing my friend was "dare" enough to take up the challenge, I am here to try new things. A shower and a piece of chocolate mud bring back freshness. The night of the day begins. It's been almost 1 month since we've celebrated Chinese New Year. It's a no new clothes new year but it's a fruitful month for me. One comes, and one goes. I gain more than I lose. For what I can see from people surrounding me, they all have their own dreams to chase off. I start to realize my differences amongst them. It's been told by some of them. Definitely it's useful for me. As I can now realize what kind of life I want from now on. No more talking without proper rephrasing. No more deciding without deep thinking. Every decision made shall be originated from one self heart. Emotional stability determines your social images.